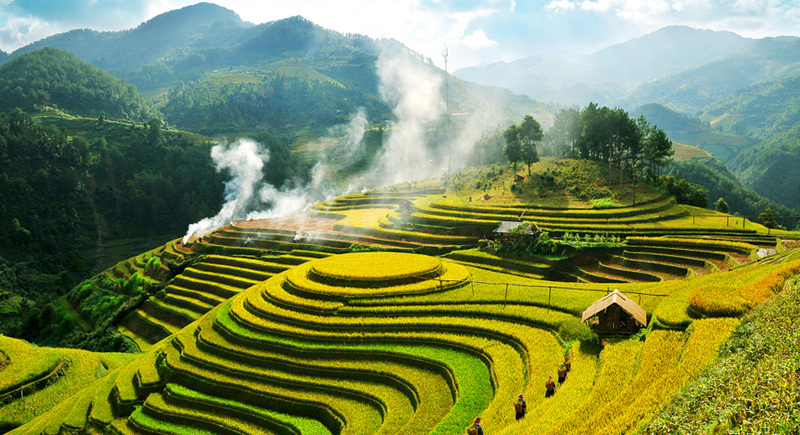 Trek and enjoy slow pace of life in SaPa. If Sapa is a young lady with different characteristics, the sunset is probably the most charming and gentle moment of this lady. Hold on a warm cup of tea and broaden your eyesight to the horizon, you will see light sunshine spread over the mountains and valleys like gold inlaid into the earth. The sun seems to disappear behind the Hoang Lien Mountains and there is something gorgeous and magnificent. 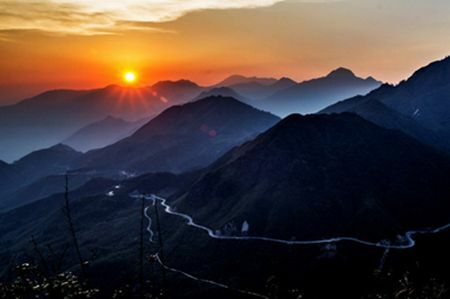 Especially, observed from the top of Ham Rong high 1800m, Sapa resembles a nature-colored painting, which makes you surprised at the magical hand of nature. 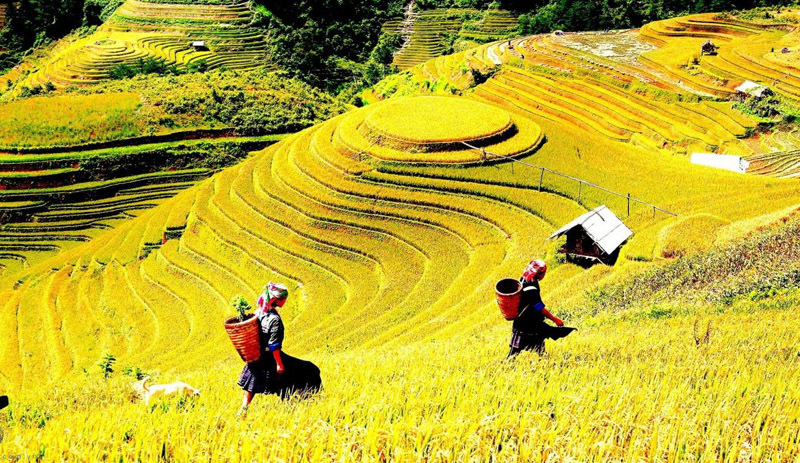 Travel-experience in Sapa is a type of travel for travelers who like to explore, experience, and learn the customs and habits of different cultures and different ethnic groups here. During the trip, tourists stay in the local residents’ house instead of staying at the hotels. You can have meals and work together with the host family in a warm and friendly atmosphere. Specially, harvest season is in September, when the fields are blonde instead of green. This is a fascinating time to travel Sapa, it is intriguing if you get your camera fully charged or else you will regret every single step you walk. 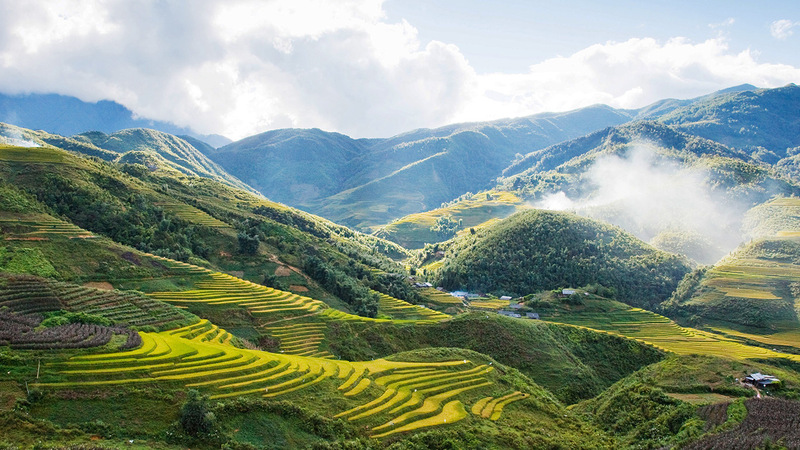 If life is a journey, Sapa is really a destination you shouldn’t miss when coming to Vietnam. Go there to understand the pride of the Vietnamese people for the beauty of their country, to understand the culture of a country with more than four thousand years of history, and to enjoy this life in a natural way.